Join this intimate craftivism talk & workshop and become a Craftivist in North West London! Join our Mini Protest Banner workshop 6:30pm-8:30pm on Tueday 29th April at Handmade By You craft studio inside the famous Alfie’s Market: Room A, Alfies Antique Market 13-25 Church Street London NW8 8DT. Ran by Founder of Craftivist Collective Sarah Corbett you will learn the classic skill of cross stitch and hand embroidery whilst also learning how to use your talents, passions & actions to make the world a better place for people & planet. You will start creating a cross-stitched Mini Protest Banner to hang up as provocative street art. You will recieve support on what message to stitch on your banner & suggestions of where to put it. 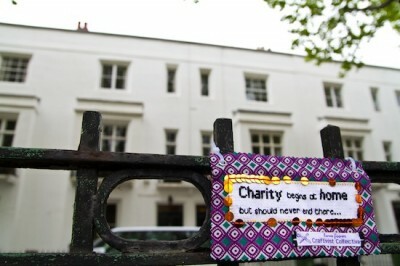 Sarah sees craftivism as a form of ‘slow activism’, a reflective action which changes the participant as much as it does the world. It is passionate but polite, provocative but patient, drawing people to engage in discussion and debate rather than forcing it down people’s throat. Unlike some of the more traditional, extrovert forms of activism, craftivism is quietly beautiful, it is individual and it is effective. Craftivist Sarah will also tell you more about the benefits of her approach to craftivism (with her 7 years of experience working as a professional campaigner for for Christian Aid, Governmnet Department for International Development and most recently Oxfam) and the methods you can use. 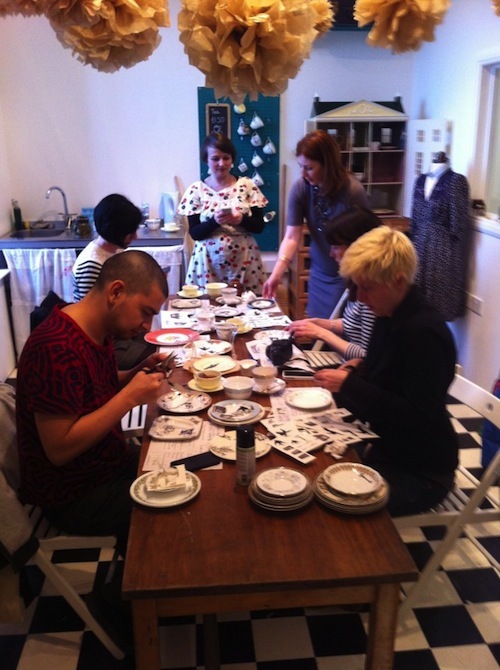 Plus it’s a great opportunity to meet like-minded people and become craftivists together. Additional Craftivist Collective products are available for purchase in the Handmade By You shop after class (such as our Little Book of Craftivism and other Craftivism kits).